microSD « Tech bytes for tea? SanDisk will be at IT Show 2013 at Marina Bay Sands at Booth B251. 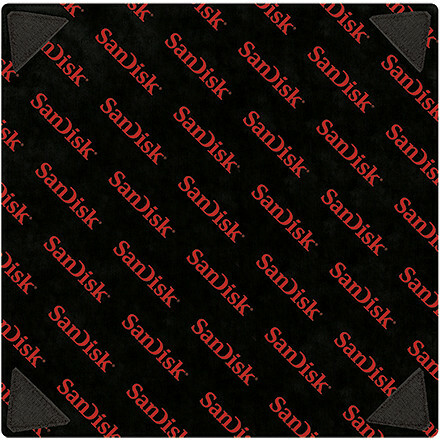 Click to view or download SanDisk promotions during IT Show 2013. Check out SanDisk’s range of memory cards, Solid State Drive and Memory Vault at IT Show 2013. Purchase any SanDisk High Performance product (16GB and above) or any SanDisk product (32GB and above) and get a Sure-win Scratch & Win Card to win a selection of prizes, including a Samsung GALAXY Camera. SanDisk will be at COMEX 2012 at Level 6, Booth 6130. Their products will also be sold through authorised dealers, mostly on Level 6 of Suntec Singapore. Click to view or download SanDisk promotions for COMEX 2012. 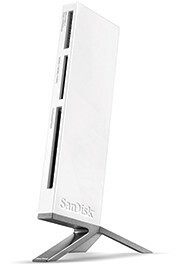 Check out promotional discounts and freebies for SanDisk at COMEX 2012. Look out for the red priceboard. Authorised resellers on Level 6 include AD Industries (6647), Challenger (6130), RedDot Photo (6701), Harvey Norman (6101), Bell (6563), Artwork Foto (6393), Million Mobile (6859), Directions (6650/6508), Best Denki (6118), Perdure (6404), Video Pro (6137), Bizgram (6633), Cybermind (6868), and Kao Yap (6111). Those on Level 3 include Active Notebook (3038), Newstead (3015). 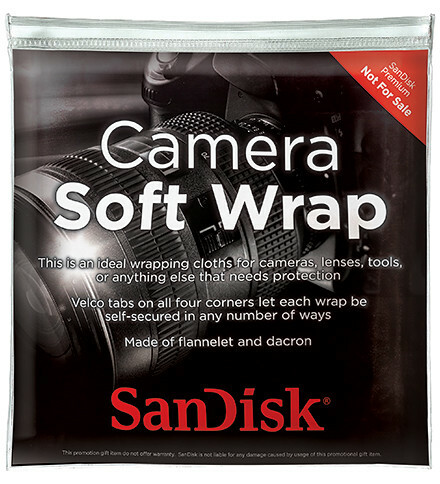 Get a free protective camera wrap when you purchase 16GB or higher SanDisk Extreme or SanDisk Extreme Pro UHS-I cards. This offer will last for 1.5 months from 15 November to 31 December, while stocks last. The camera wrap will offer extra protection for photographers while they carry their cameras with them as they travel and visit relatives during the Christmas season. The camera wrap is convenient and easy to use—photographers simply fold it along the corners, secure it and then stick it in their camera bag before heading off to a shoot. 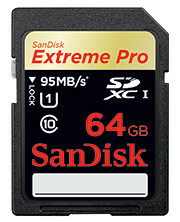 SanDisk recently doubled the capacity and performance of its professional-grade imaging card lineup with the introduction of the 64GB SanDisk Extreme Pro SDHC/SDXC UHS-I card. Based on the SD 3.0 specification’s Ultra High Speed (UHS) bus architecture, the card offers the fastest write performance of any SD card in the world and is ideal for imaging enthusiasts using UHS-enabled cameras. The card’s 90 megabyte per second (MB/sec) write speed lets photographers capture a series of RAW images using burst mode, and its UHS Speed Class 1 rating can record Full HD videos. With up to 95MB/sec read speeds, the card can transfer photos to a computer in half the time, allowing photographers to quickly enter post production. The cards come in 8GB to 64GB capacities carrying promotional MSRPs ranging from S$69 (8GB) to S$529 (64GB). SanDisk launched seven new memory storage devices today, targeted mainly at consumers who are photographers/videographers, smartphone/tablet and general computer users. The new products feature higher capacities and higher speeds and include SDXC SD and micro SDXC cards, USB thumbdrives, a USB 3.0 card reader, and two SSD drives for daily and long term storage. Note that the SDXC memory cards will require SDXC compatible devices to use their full capacity beyond 32GB. They can be used for non-SDXC devices but can only be formatted to a maximum capacity of 32GB for SDHC devices. The new devices are tabulated below. Double the performance and capacity, targeted at photo/video pros. Up to 90 MB/s write speed and 95 MB/s read speed. Good for Full HD videos and burst mode photography recording to RAW + JPEG. Up to 30 MB/s transfer speeds. It’s only the size of a 10 cents coin. No more worries about losing the cap. Good for computers and tablets with USB ports. 8GB and 16GB capacities available – not for large scale file backup. Preserve files for up to 100 years. Good as photo albums. Solid State Drive (SSD) for the retail market instead of OEM. Up to 280/270 MB/s in read/write speeds. Offers low power consumption, silent and quick launch. Good for replacing ageing internal hard-disks of old laptops/desktops. USB 3.0 interface offers up to 500 MB/s performance. Four card slots for all major card formats. Good for intensive photo and video transfer. SanDisk is a Silicon Valley-based S&P 500 and Fortune 500 company producing flash memory storage devices, with more than half its sales outside the United States. 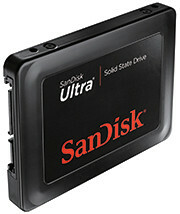 Founded in 1988, and headquartered in California, SanDisk’s diverse product portfolio includes flash memory cards and embedded solutions used in smart phones, tablets, digital cameras, camcorders, digital media players and other consumer electronic devices, as well as USB flash drives and solid-state drives (SSD) for the computing market. 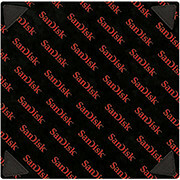 SanDisk’s products are used by consumers, manufacturers and enterprise customers. 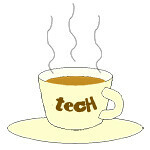 Follow articles related to SanDisk on tech4tea.com.